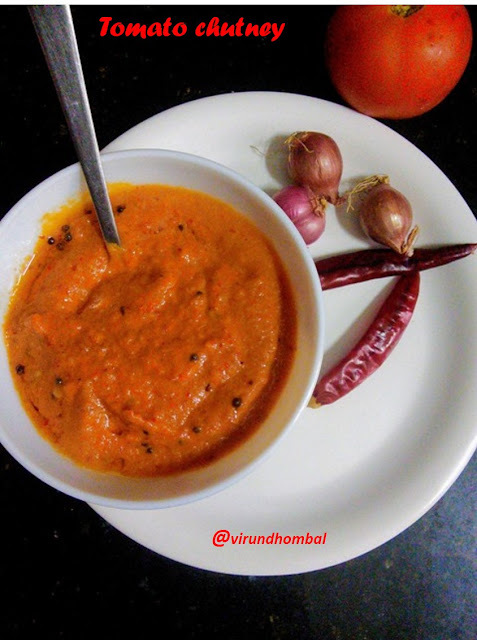 Tomato chutney is commonly called as Kara chutney in hotels due to the red colour of the dish. 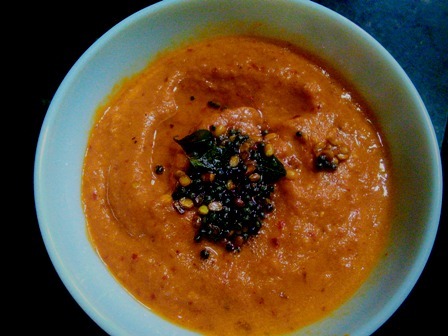 This chutney is not much spicy and it has a combination of flavours like sweet, hot and sour. 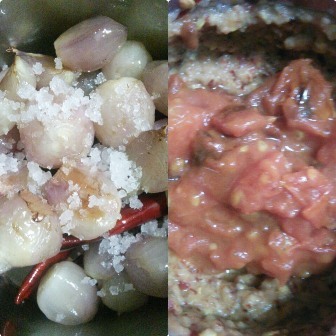 The sweet taste of the onions, heat from the red chillies and sour from the red tomatoes make the chutney so delicious. Not only this chutney looks good, but also tastes nice. You can use this chutney as a side dish for idly, dosa, poori, panniyaram, bajis and bondas and also you can use this as a spread for bread slices. My son is a big fan for this kara chutney and he asks me to spread inside the dosas. A simple and tasty tomato chutney with just four ingredients. I have used small onions for this chutney you can also use big onions too. Tomato onion thokku, Tomato sabji, Tomato chutney with green chillies, Tomato dal, Tomato rasam and Tomato pasta. Peel the onions and wash them well. Wash and cut the tomatoes. Heat oil in a pan and add the onions. Stir and saute on low flame. Then add the red chillies. When red chillies turn crisp transfer them to the plate. Next, add the tomatoes. After few seconds, add the tamarind. Saute them well on low heat till it turns mushy. Turn off the heat and allow them to cool. 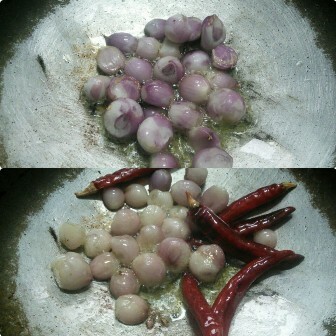 Take a small chutney jar and add the required salt, onions and the red chillies. Grind it without any water.Next, add the tomatoes and grind it smoothly. Transfer it to the bowl. If the chutney appears thick, add some more water and mix them well. Heat oil in a pan and add mustard and urid dal. When it splutters add the curry leaves and add it to the chutney. Mix them well. Heat oil in a pan for 2 minutes and add the onions. Stir and saute on low flame. Then add the red chillies. When red chillies turn crisp transfer them to the plate. Take a small chutney jar and add the required salt, onions and the red chillies. Grind it without any water. Next, add the tomatoes and grind it smoothly. 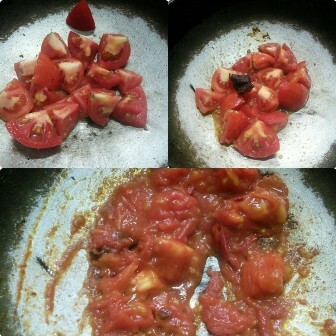 If you try this recipe for Tomato chutney send us your comments below and share the recipe for your friends and family.